Don't Get Spooked by the Stock Market - Wealth Legacy Group®, Inc.
With October 31st soon approaching, we thought a Halloween-themed title for our newsletter would be appropriate. In case you have been “dead” and not following the U.S. financial markets recently, since the beginning of October volatility has reared its ugly head once again this year. The Dow Jones Industrial Average (which is made up of 30 large well-named companies) dropped 831 points (-3.1%) on October 10th and dropped another 545 points (-2.1%) the following day. 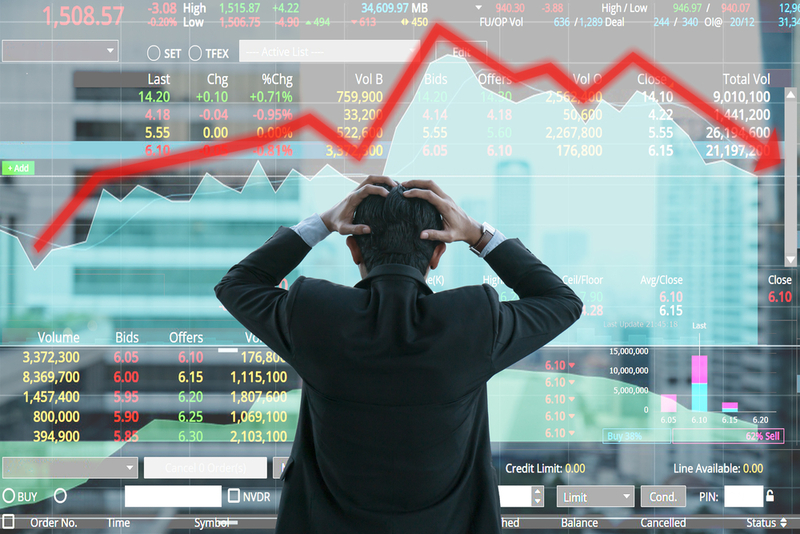 A 547 point (2.1%) increase in the Dow occurred the following week, but since the beginning of this month, the trend has been for stock market prices to fall. The Dow more recently fell 608 points (-2.4%) on October 24th. As of October 24th, the Dow lost all the gains it experienced throughout the year and was in the red. Ugh! That leaves a worse stomach ache than a bag of sour worms! We saw even greater volatility in the market in February of this year. The biggest drop was on February 5th, when the Dow dropped 1,175 points (-4.6%) for the day. Having some ups and downs in the stock market is to be expected. But since the beginning of this month, if we were on an airplane, the pilot would be on the public address system asking passengers to remain calm, in their seats and buckle their seatbelts for further turbulence ahead. Is the sudden drop in the major stock market indexes a cause for concern? Is this the foreshadowing of 2008 all over again? Should we pull our money out of stocks, real estate and other growth instruments and go to bonds, cash or under our mattress??? There are some things happening globally to be sure, not the least of which is tariffs and other “back and forth” between countries. Still, this is nothing new and is to be expected. Markets don’t always go up. Still, what if there were a way to invest that – whether sunny or rainy weather – the portfolio of investments will “weather the storm?” Is there a way to stay invested in growth instruments like equities but still have “downside protection” that automatically jumps into action when things turn down? Getting stock market growth but having a safety valve when the stock market plunges . . . “Imagine That™”! Why are Stock Market Losses so Difficult to Recover From? Many investors have the mistaken assumption that gains and losses are symmetrical in how they affect your investments. Most investors incorrectly believe, for example, that a 20% gain is equivalent to a 20% loss. The correct answer may surprise you: you will need an increase of 25% to get back to even. In this situation, the loss is more powerful than the gain. Are Your Investments Ready If/When the Financial Markets Take a Nosedive? An increasing number of credible sources foresee the probability of the financial markets taking a nosedive as early as next year. These are all just prognostications, but sooner or later, they will come true — just as we saw in the three down years of 2000-2002 and the more recent financial crisis of 2007-2009. Is the principal value of your financial investments protected if we should experience another major market drop? What if you are nearing retirement — or are in retirement? How can you protect your principal from a large sudden drop in the market? Due to the increased volatility in the stock market this year, more of our clients are looking for allocations which protect against large losses of principal. One way to obtain this protection is by utilizing exchange traded funds with an investment process that invests across all eleven sectors of the U.S. economy (for greater diversification) and contains built-in “stop-loss” protection. “What is that,” you ask, and how does that work? One of our favorite investment platforms tracks a certain broad-based market index. When that index drops by a certain percentage from its highest value (in this case, 10%), the equities are liquidated and moved into three different bond portfolios: short-term, intermediate-term and long-term bond holdings. The money remains in bonds earning income and often having an increase in value during the time it is there. The platform’s proprietary process determines when it is time to move back into the equity market. At that time, the money returns into the eleven sectors of the U.S. economy using the exchange traded funds previously held. It is a cost-efficient way to capture gains in the equity market, while automatically protecting your portfolio from significant market losses. With a stop-loss strategy in place, it takes away the guessing game. You no longer have any knee-jerk reactions to how the financial market is doing or how your particular investment is performing. Any temptation to try to time the market will be gone. You will no longer suffer the emotional and psychological pain of investing. Instead, you will be comforted with knowing that your investments will not go into free-fall and you will avoid the catastrophic losses of a prolonged bear market. One of the Best Ways to Cut Your Tax Bill in 2018 and Beyond You Have Never Heard Of!